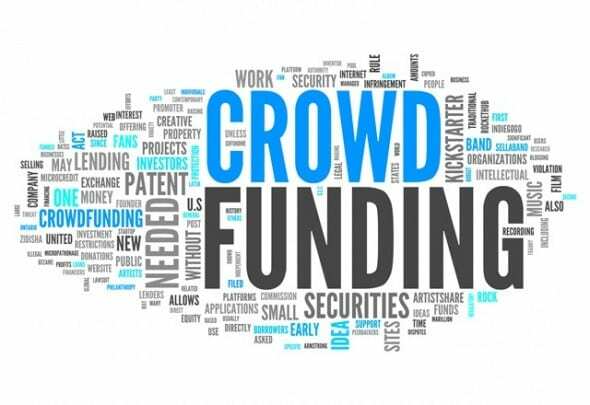 Crowdfunding seems to be a wonderful and efficient way to support worthy causes or fund creative new ideas that need some help starting out, and it truly has changed the whole concept of fundraising. There are constant new fundraising campaign records made at Kickstarter or Indiegogo. However, it is important to understand that there is also a dark side to the backing of some crowdfunding campaigns.The large numbers of money coming into platforms cause many to believe it is the future of fundraising, but these platforms have their downfalls which simply cannot be ignored. Often times, what it promised in a campaign does not, in fact, match up with what is received. A company or startup may advertise their product very well, and therefore receive a great deal of backing. Although in the end when the product is released, it may be far inferior to what consumers had in mind when investing, and it can happen anywhere. A situation such as this is not even considered to be fraud since consumers will still get the product. However, it is still very dishonest and is morally wrong. This practice is discouraged with certain platforms, such a Kickstarter, which requires users to use a policy of accountability. In this policy, campaigners are intended to keep in mind that dishonesty can damage their reputation, and there is a vague threat of legal action. Indiegogo another platform offers the option of checking whether or not businesses are legitimate. However, when it comes down to the backers themselves, there is no platform that will take responsibility and offer support to the backer for being found in a dishonest situation. Furthermore, it even makes more sense that startups would feel inclined to mislead backers in order to receive the funding they need. They often have pressing deadlines to meet, and with no present punishment for their dishonest behavior, there is no incentive to not think merely about their own self-interests. The overall general attitude of the backers in crowdfunding is also problematic. Often times, backers merely want to be the first to know about the product. They aren’t actually looking to support a creative idea. This cycle is complicated for such a platform that is intended for both fundraising and startups. Sometimes products are not shipped out on time, and Kickstarter has even prohibited putting photographs of unfinished products on their website. It seems as though the backer has to understand the situation he is entering and that he is paying for an idea of a product, rather than the product itself. But of course, this is not to say that the company is in the right about being dishonest in how they portray their items. The interests of both parties in the equation contribute to the malfunction of the system. This, of course does not mean that crowdfunding will not be the future of many industries. It most likely will, with it’s incredibly easy access and simple usage. Now companies that would not have previously existed have the opportunity to. It’s as though a new democratic process within businesses. But with all things being said, the issues at hand cannot be ignored, because crowdfunding will continue to be more and more popular. And when it comes to fundraising for worthy causes, although the backer is not receiving a product, he should hope his money will go to the right place, which is another thing that is very hard to check. Crowdfunding platforms need to make more of an effort to instill legitimacy requirements. And backers, take the time to do your research too.